These are just FANTASTIC. 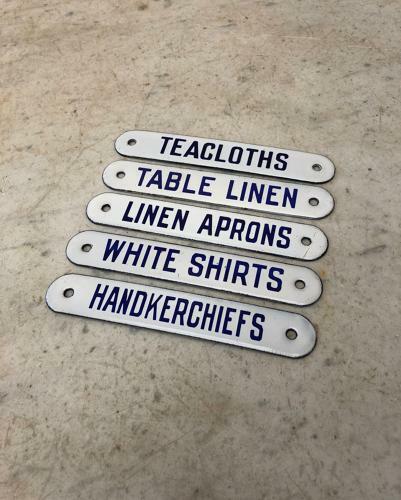 Rare and original 6 inch long enamel signs which would have gone on a Housekeepers Cupboard or Drawers. Very good original condition. Holes to attach. I need to sell these five together just cant split but there are another five listed which are all different again.